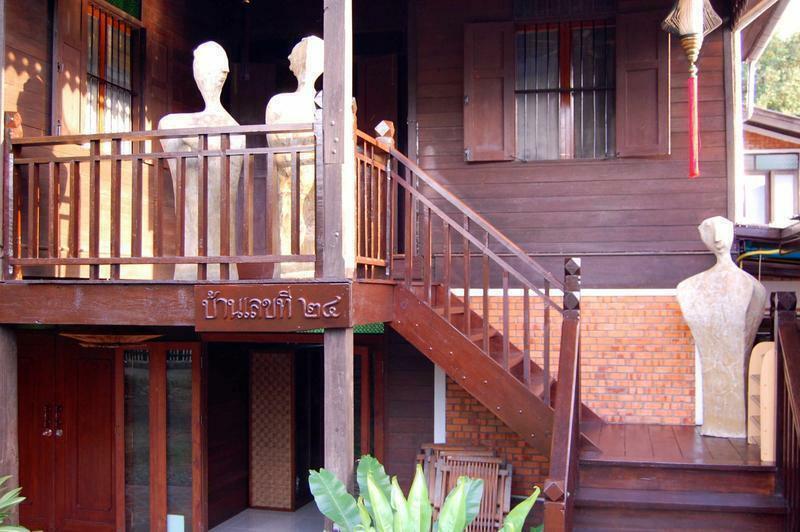 Our genuine Thai house is the ideal place for you and your family to rest in. Toto, a native Thai, born in Chiang Mai, will welcome you. Toto speaks French and English. Our guesthouse offers 3 amazing Deluxe bedrooms on the ground floor and upstairs, 4 charming Standard bedrooms, made entirely out of wood. You will be able to choose amongst the following community rooms and places on the premises: the upstairs patio a good meditating or reading place, the lounge to share your daily adventures, the ground floor patio where you can enjoy food and our delicious breakfasts, the lawn inviting you for a nap, and last but not least a garden allowing you to enjoy the sight of its blooming trees. High speed WiFi is available throughout our premises and in all rooms ! You need to specify 'Rat U-thit Soi 2 (soong)', in front of 'Gymkhana'. If you need we provide the transfer to pick up is only THB 300.-.